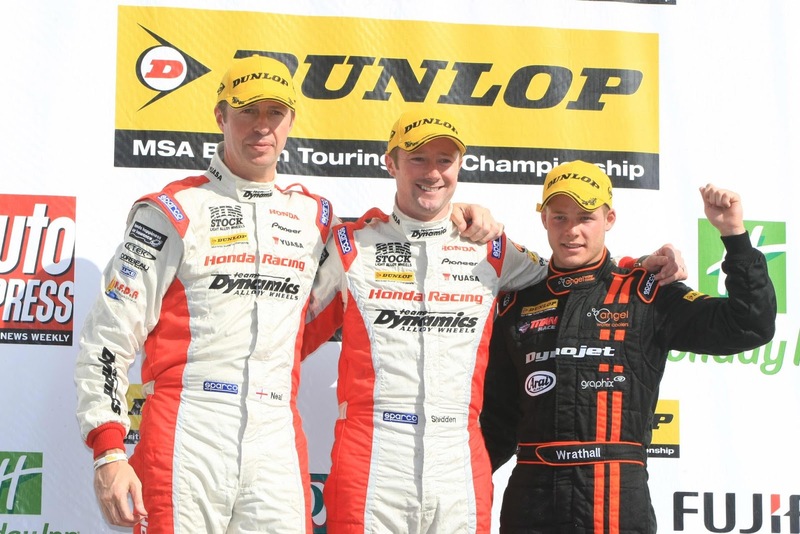 Ginetta boasts one of the largest numbers of same-marque entries, ahead of Porsche and second only to BMW, as the Brits prepare to take on the Germans at Silverstone - the home of British motor sport. 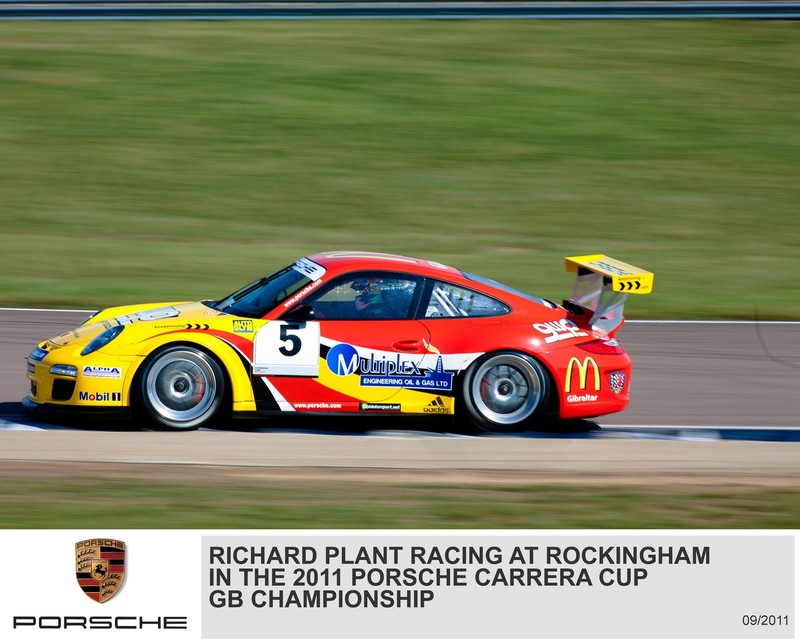 The small volume manufacturer -famed for building successful endurance racers- will be out in force offering factory support for teams taking part in the Silverstone Britcar 24hr -Oct 1st-2nd as they combine to take on the formidable moneymen of BMW and Porsche with 2 x G40 - class 4, 5 xG50/GT4- class 3 and 1 x G55 - Class 2. 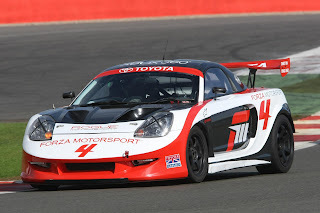 Ginetta Boss Lawrence Tomlinson will also be making a return to 24hr racing in a prototype laden G55 with Rollcentre Racing, alongside drivers Martin Short - famed LMP1 driver and Rollcentre Racing Team Principal, BTCC ace Colin Turkington, 2008 British GT4 champion Matt Nicoll-Jones and former British Karting Champion/Ginetta factory driver Mike Simpson. The Britcar 24hrs G55 mule is part of a continual testing programme for Ginetta’s newest machine, the G55 GT3, which will be released later this year. The new G55 GT3 £147,000, 3.7lt machine – which will be on display in the Britcar 24hrs Silverstone paddock for the first time - boasts 58 carbon fibre panels, a wider track making maximum use of the GT3 permitted dimensions, a new aero packcreating impressive down force (designed with the aid of an F1 design team) and 10”/12” rims for increased traction and handling, along with a striking 1.8m curved swan neck rear wing assembly. It’s the third time that Team Rogue Racing has entered an MR2 in the Britcar 24 Hours; last year the squad’s tenacity was underlined by an against-the-odds race finish. Now Patrick Mortell, Simon Aris, Alric Kitson and Lee McKee are hoping that substantial performance modifications and support from Toyota GB will help bring success. The view the team hope that most of it's competitors will be seeing! 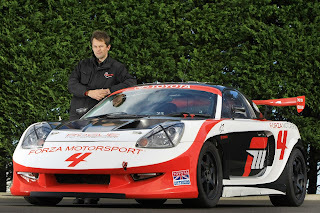 “The MR2 is fitted with a 3.5-litre V6 engine, a unit which is more used to delivering sufficient power to pull along a Lexus, so it’s quite a proposition in an MR2 weighing around 1100 kg – particularly when we add a supercharger to boost power output to 350-400 bhp,” said team leader Mortell. 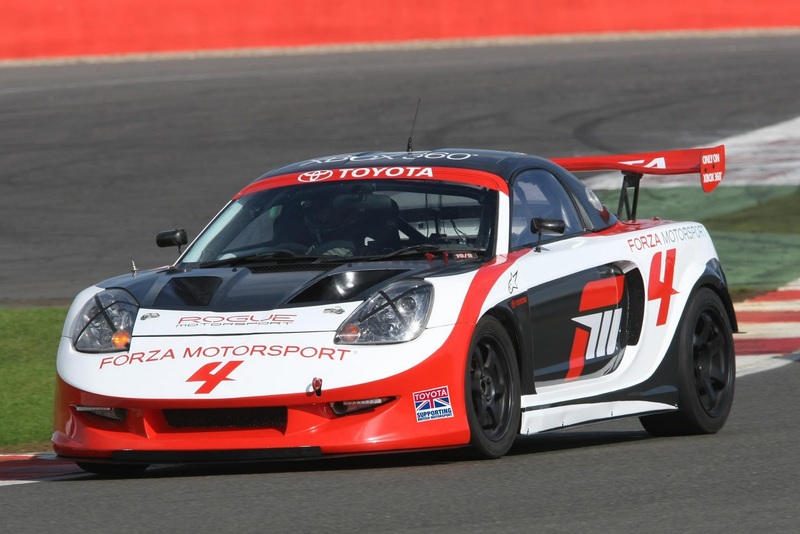 In Class 3 of the race, the Toyota is up against some race-proven performance models, including GT4 cars from Aston Martin, Ginetta and Lotus, as well as several BMW M3s and a GT3 Porsche. The MR2 bosts a 3.5l Lexus sourced V6. With a supercharger. 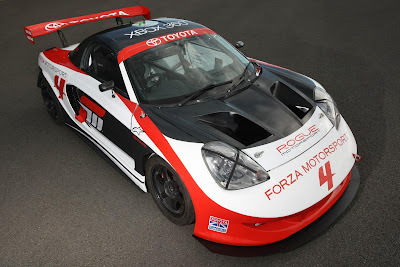 The four drivers all started their competitive careers in the MR2 Championship; two of them are flying from their homes at opposite ends of the globe to compete – Aris from Texas and McKee from Kuala Lumpur. In addition to support from Toyota, as part of their campaign to support British Motorsport, Team Rogue Racing has several other blue-chip backers, including Microsoft, which is using the event to publicise its forthcoming Forza Motorsport 4 Xbox game, and Alpinestars. 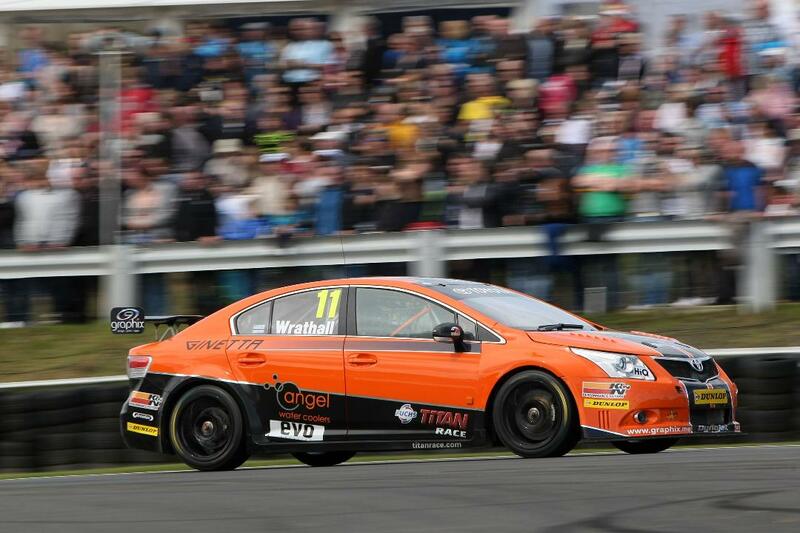 The car looks perfectly at home at the race track! 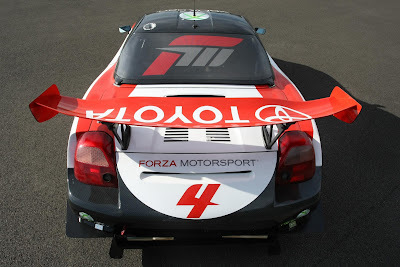 “Our Alpinestars race suits will carry Forza branding,” adds Mortell, “and Microsoft will be demonstrating the new game to spectators in the paddock.” Emagine Productions will be filming a documentary about the team’s campaign. Following daylight and night qualifying sessions, the 24-hour race will get underway at Silverstone at 4pm on Saturday 1 October. 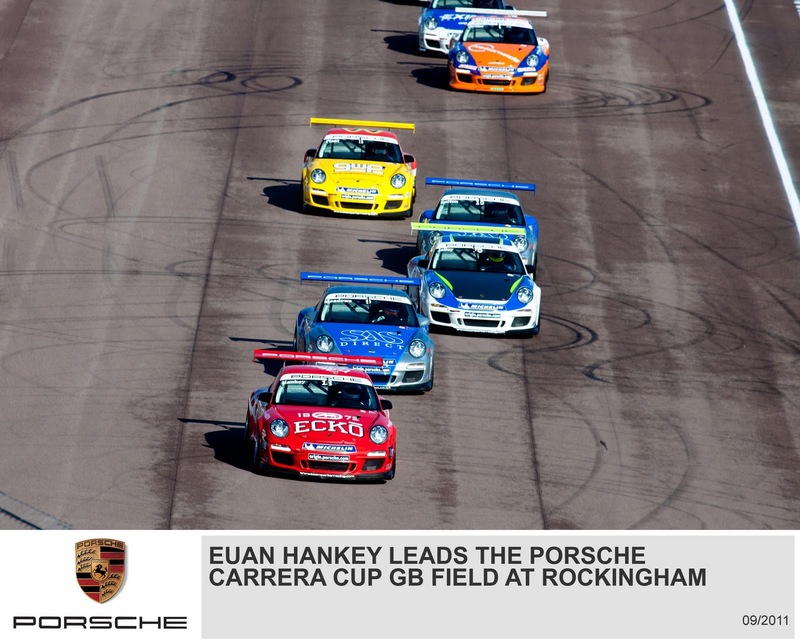 A field of around 70 cars is anticipated. 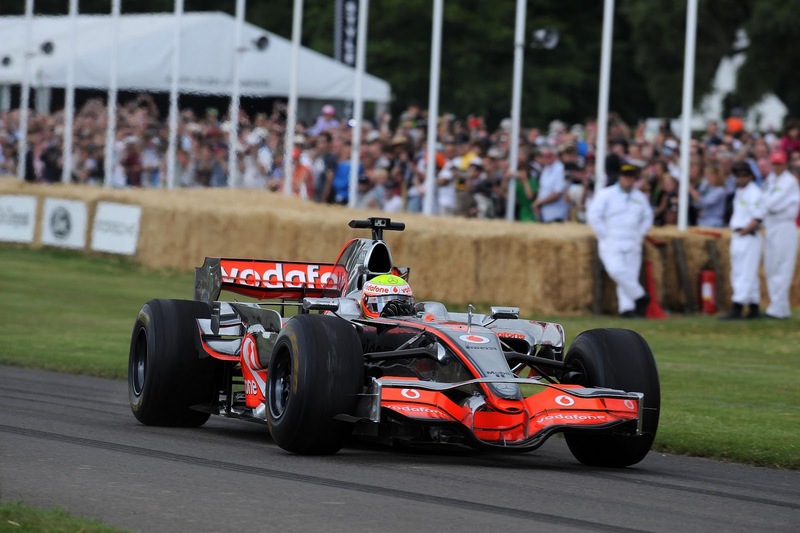 Next year’s official National Motorsport Week (30 June-8 July) will feature the two most popular events on the UK motor sport calendar: the Goodwood Festival of Speed and the Santander British Grand Prix at Silverstone. 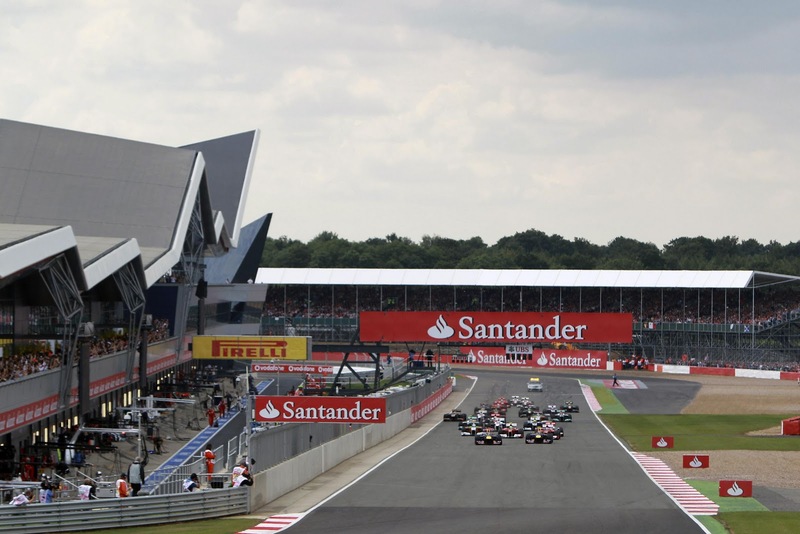 The British Grand Prix date – 6-8 July 2012 – was confirmed last month by the Fédération Internationale de l'Automobile (FIA), the governing body for world motor sport, while The Earl of March, patron of the Goodwood Festival of Speed, has just announced that the world’s largest celebration of motoring culture is provisionally scheduled to take place in the beautiful surroundings of Goodwood Park over the weekend of 29 June-1 July. 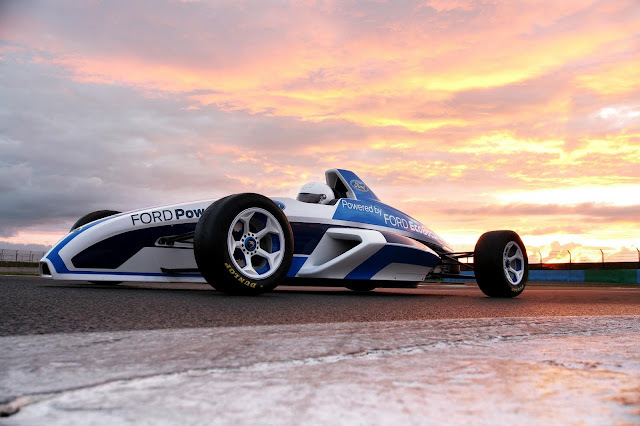 National Motorsport Week is jointly organised by the Motor Sports Association (MSA) and the Motorsport Industry Association (MIA) to celebrate the on-going success of British competitors, teams and companies as well drawing attention to less well-publicised parts of the sport in order to generate increased participation. 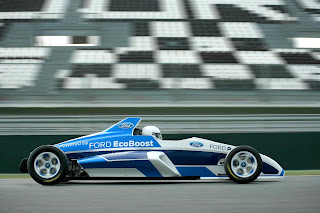 National Motorsport Week 2012 will build on the many accomplishments of this year’s initiative. 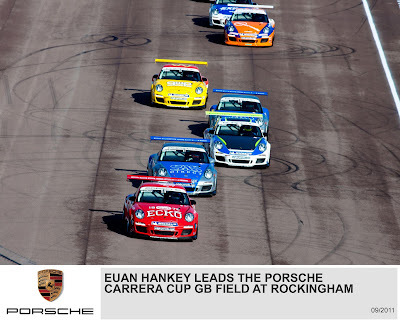 The scheme generated a massive increase in activities and events ranging from open days at some of the county’s top teams to a plethora of novice taster days organised by motor clubs throughout the country. 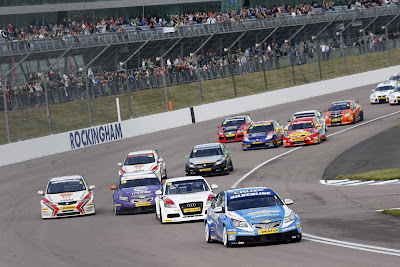 How to get into racing... Buy a ticket from Rockingham!? 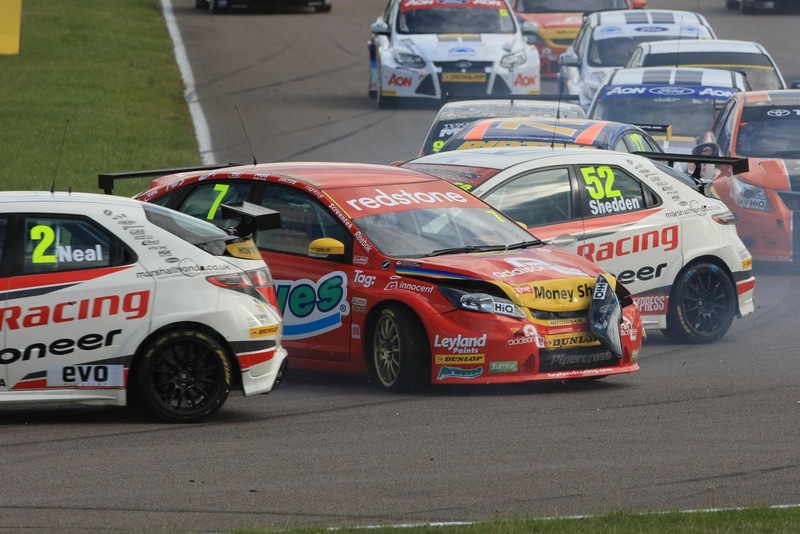 ONE lucky Rockingham spectator has just won the prize-of-a-lifetime – a place on the starting grid of the Air Asia Renault Clio Cup at the Dunlop MSA British Touring Car Championship (17th – 18th Septmber). 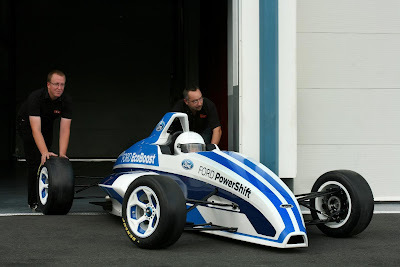 Mark Gibbons from Northwood in Middlesex, beat nine other fans following a day of intense assessment with The Racing School (TRS) at Rockingham, and will now go head-to-head with Lewis Hamilton’s brother, Nicolas, at the Northamptonshire circuit. 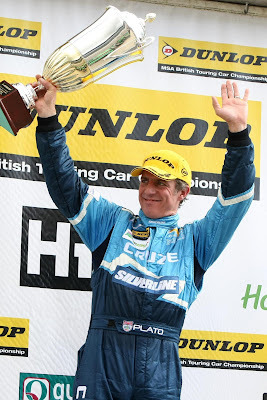 The 38-year-old was selected from ten finalists who were chosen at random from customers who had purchased an advance ticket to Rockingham’s round of the British Touring Car Championship next weekend (September 17/18). Contestants were assessed on their potential to be a racing car driver through a series of challenges including taming a V8 Touring Car , racing a MINI Cooper S, putting their handling skills to the test in a Alfa Romeo Giulietta on the Wet Grip facility, while V1 Championship provided training on the Rockingham simulators. It was by no means an easy ride, as TRS Chief Instructor Chris Hodgetts made clear to participants at the start of the day. The former two-time BTCC winner, said: “One of you will be granted a licence to participate in one of the biggest race series in the UK. Following the one-to-one driving tuition and intense training, Chris and his team shortlisted the three best candidates; Mark, 24-year-old forklift truck driver, Andrew Mendy from Cambridgeshire, and 39-year-old Roy Beal, an Alfa Romeo technician from Devon. 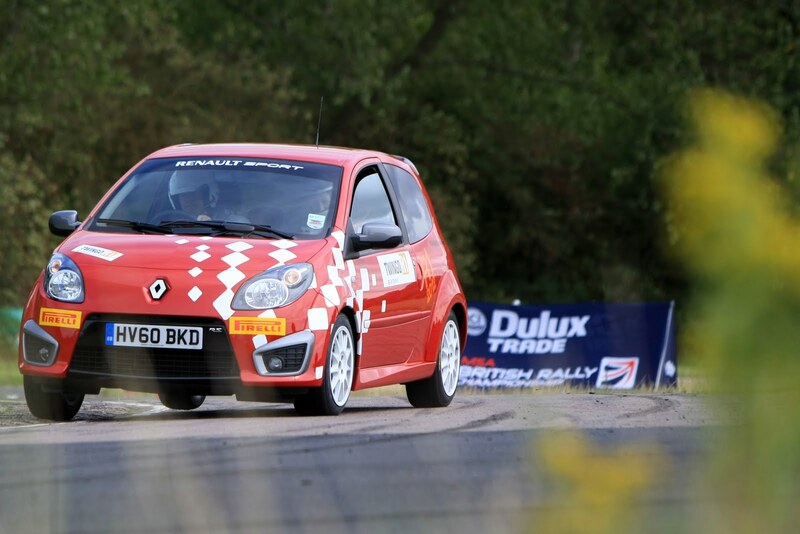 All three wannabe racing drivers were then assessed on their ability to drive one of the Renault Clio Cup cars around the International Super Sportscar Circuit – the actual race track which will be used over the BTCC weekend. An agonising wait followed, while Chris and his team compared final scores. When Mark was announced as the winner, his face broke into a huge grin. Mark, who works as a computer programmer for a bank, is not a complete stranger to being on the race track, and already holds his ARDS licence. The next week will be crucial for Mark. He will now receive further time on track before the big race weekend. “I will perform to the best of my ability. 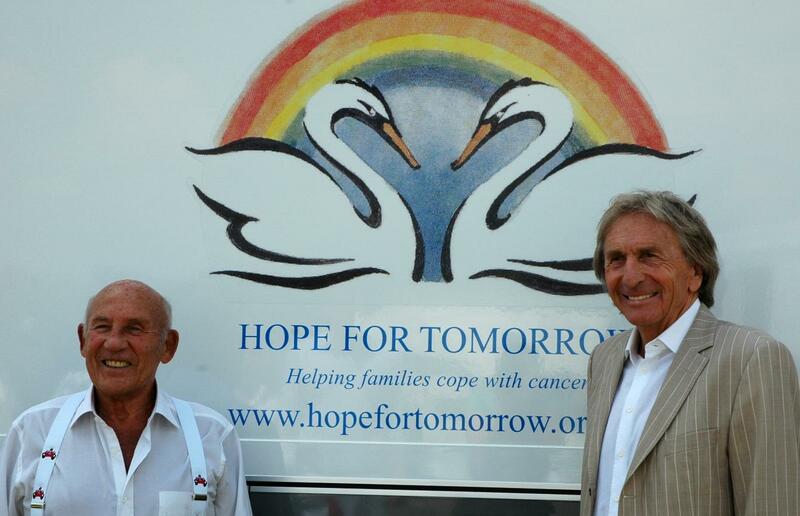 This really is the opportunity of a lifetime!” he said. 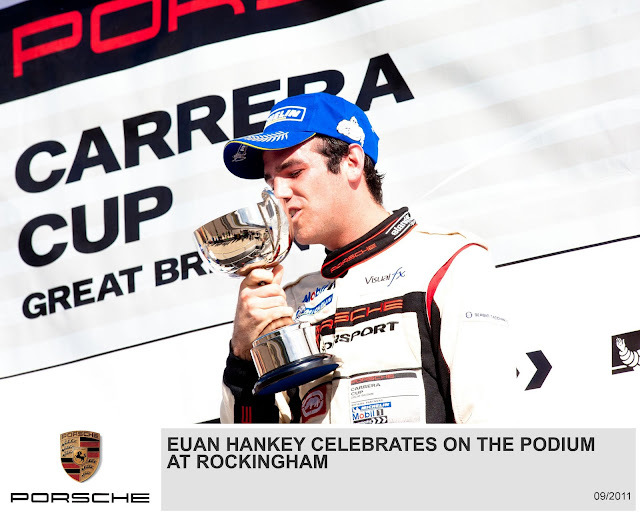 Chief Executive of Rockingham, Charlotte Orton, said: “Congratulations to Mark – he showed he has true potential to further a career in motorsport and we are really excited to watch him show us what he’s capable of at the BTCC next weekend. The final ten competitors included Elizabeth Kingsholt from Guildford in Surrey – the only woman to take part in the training – and two local men, Piers Cadogan from Corby and Russell Jarvis from Rushden. Despite being disappointed at not winning the DreamDrive competition, the other finalists have pledged to support Mark, and they will be cheering him on from one of the glass-fronted hospitality suites after receiving a free VIP upgrade. They will also have the chance to meet the Renault team. 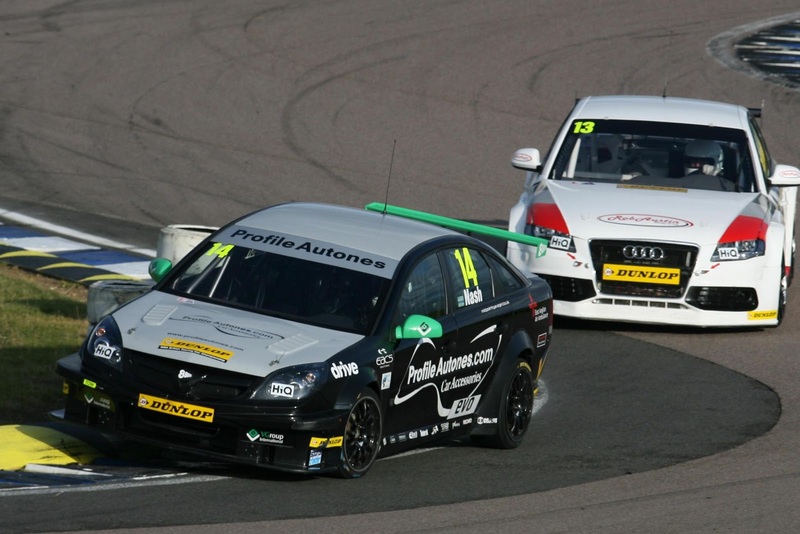 If you would like to come and support Mark on his Rockingham debut, tickets are still on sale. Fans can save up to 20 per cent on adult admission prices by booking before 17:30 next Wednesday (September 14). 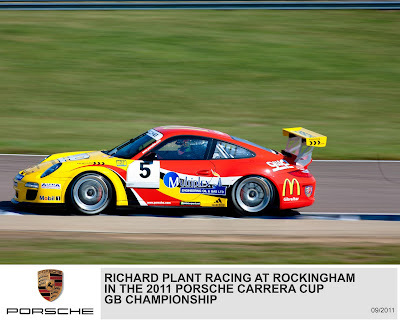 Advance race day tickets cost just £26 and can be booked on-line at www.rockingham.co.uk or via the ticket hotline on 01536 500500 and select Option 1. 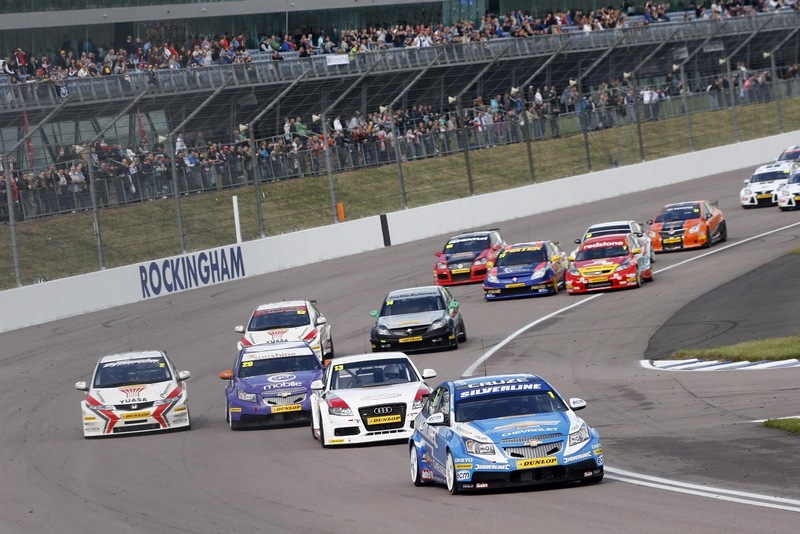 Rockingham prides itself on providing access to all motorsport fans, children aged 15 and under get in free while those who are registered disabled can apply for a complimentary admission ticket for their carer. Written proof is required. a) Castle Combe's Rallyday is a great event to visit if you're into Rallying or just motorsport in general. And what's more it's closely linked to the British Cross Country Championship, who we met at the Autosport show back in January. We hope that visitors to Overdrive will support this project wholeheartedly! This can do what a Land Rover does. At the speed of a Jaguar. We want a go. 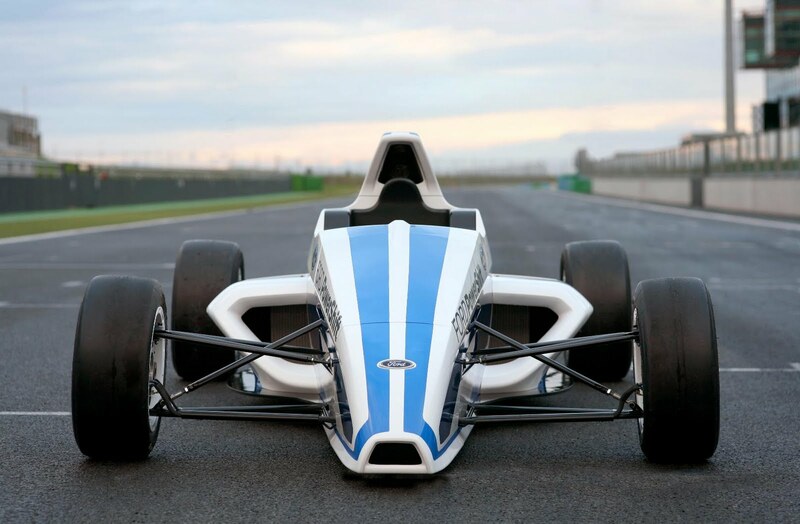 Visitors at this year’s Rallyday, at Castle Combe in Wiltshire on Saturday 17 September, can enjoy the ride of their life, as passenger in a Qt Services Wildcat 500 driven by Top Gear’s former ‘Stig’, Ben Collins. However, not only will they experience a once-in-a-lifetime thrill, they will also support the Race2Recovery campaign, as it raises money for wounded and disabled British servicemen. The Race2Recovery campaign is supporting three charities – Help for Heroes, the Royal British Legion and Combat Stress - and has set itself a challenging goal: to compete in, and finish, the 2013 Dakar Rally and in the process, raise £2m for wounded British servicemen and their families. The team will run a pair of Qt Wildcats on the event, one driven by amputee Captain Tony Harris and co-driven by Captain Matt O’Hare, while the second will be driven by Qt’s Dave Marsh and co-driven by triple amputee Corporal Tom Neathway. 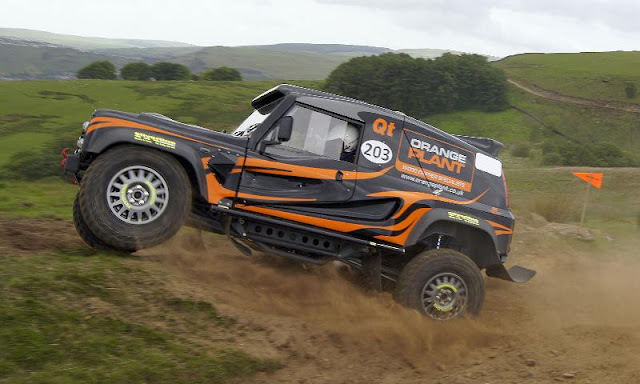 The team will be familiar to fans of BBC’s Top Gear, as they featured in the last episode of the latest series, preparing to begin competition in the Britpart British Cross Country Championship and gain their necessary license to compete on the Dakar. Their cause has also attracted the attention of several celebrities, notably TG’s former ‘Stig’ and experienced racer, Ben Collins, who became the campaign’s Patron. Collins will be one of the drivers giving passenger rides at RallyDay, rallying’s premier fan event. Other drivers will also be giving passenger rides, including Harris, who recently claimed Race2Recovery’s first class win in the BCCC, partnered by O’Hare. Over the last few years, the organisers of the event, which draws huge crowds every year, have been developing the off-road, rally-raid presence at the show and this year, the Race2Recovery team will feature in this. Passenger rides with Collins are priced at £250 while rides in one of the other Wildcats are priced at £20, with all proceeds going directly to Race2Recovery’s goals. a rally prepped one would be even better! However, it’s not only rides in off-roaders that are available to supporters of Race2Recovery. Through the organisers, the team has secured two passenger rides in state-of-the-art stage rally cars: one in the works Ford Fiesta WRC, built in the UK by M-Sport and one in the Mitsubishi Lancer EvolutionX R4, also developed in the UK by the company formed from the ex-works Mitsubishi World Rally Team, MML Sports. The driver of the Fiesta is yet to be confirmed but at the wheel of the Lancer will be former works Mitsubishi driver, Harri Rovanpera, who claimed second overall in Mitsubishi’s last official event in the WRC. 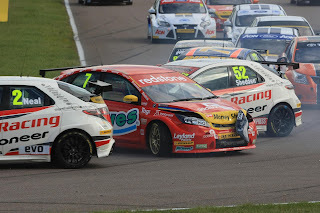 Both the rides in the Fiesta and the Lancer will be auctioned by Race2Recovery online, with the proceeds again contributing to the campaign’s goals. Commenting, Harris said: “Rallyday is, without doubt, the biggest rally show in the UK and it was a bit of a no-brainer that we had to attend. Ben came up with the idea of ‘selling’ passenger rides in the Qt Wildcats to raise money towards our goals. Wildcat rides with Collins are limited and must be pre-booked, by emailing Race2Recovery Team Manager Andrew Taylor at Andrew@race2recovery.co.uk. Rides in the other four Wildcats can be booked on the day, though. 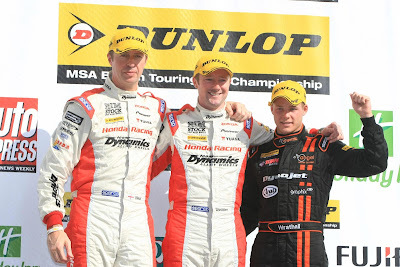 For more information on the Race2Recovery campaign and how to support the cause, go to www.race2recovery.co.uk. 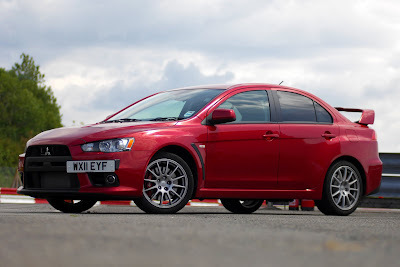 The website will also feature links to the auctions for the passenger rides in the Fiesta and Lancer, each of which also come with a pair of ticket for entry on the day. 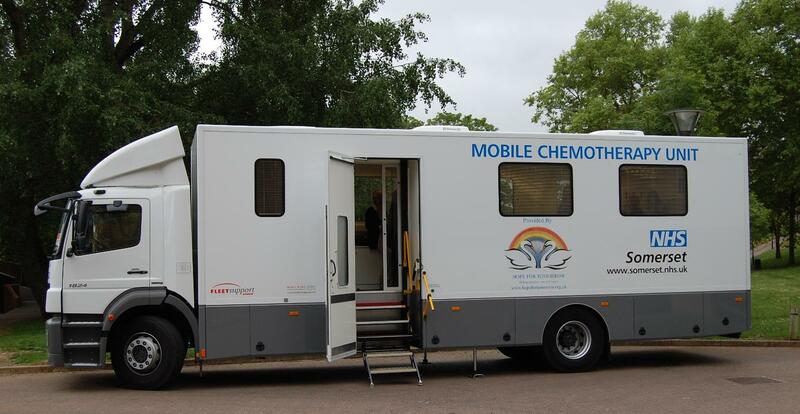 Following the overwhelming public reaction to Project Mobility’s appearance on BBC’s Top Gear we are celebrating some great achievements for our cause; not least winning tremendous support from wonderful, generous people and being able to purchase essential hardware such as a trailer and fire safety equipment. 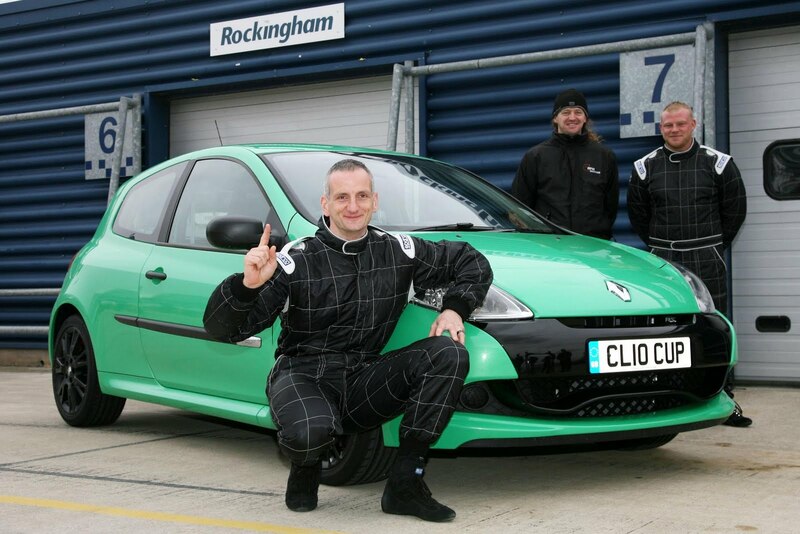 Top Gear was filmed in May 2011. All those involved in the film were racing under, being interviewed in front of, and representing the Project Mobility banner. Shortly after Top Gear was filmed, the two drivers featured in the film formed the UK’s second disabled rally team - Race to Recovery. 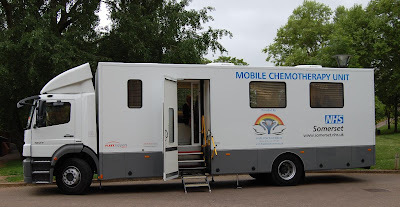 Project Mobility welcomes their independence and delights in being the catalyst and inspiration they needed to set out on their own. 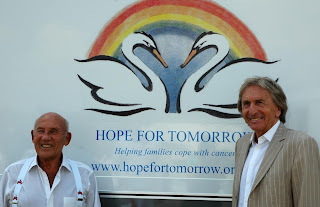 We are very proud to have been there in the early days for those guys. Motorsport is fierce and competitive, whether you are able bodied or face any kind of disability. It is to everybody’s advantage that our disabled drivers can now compete with their peers as they also work towards the goal of competing in the Dakar Rally. Our mechanic Gavin, whose moving story was told on Top Gear, remains the linchpin of a growing team of new drivers that Project Mobility is committed to training. Our mission remains unchanged... to engage, involve and inspire as many injured personnel, and the wider disabled community, to participate in motorsport and offroading activities; enhancing confidence, independence and a sense of achievement from behind the wheel. Thanks to Sally at Project Mobility for pointing this out to us.